Justin Bieber has added to his body ink collection by getting a tattoo on his face, according to the singer's New York City tattoo artist. Canadian singer Justin Bieber has added to his body ink collection by getting a tattoo on his face, according to the singer's New York City tattoo artist. 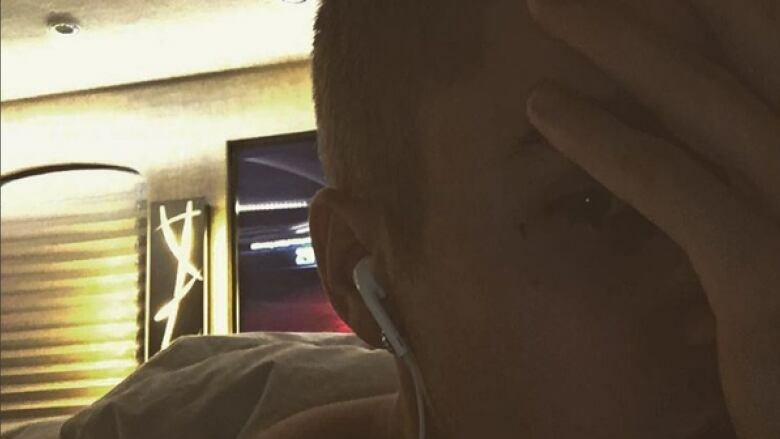 "I did tattoo a small cross near the corner of Justin's eye," Jonathan Velena told E! News. "It was a representation of his faith in Jesus and his journey with finding purpose in God." Bieber, 22, posted a selfie Saturday on Instagram, ahead of his concert in Philadelphia, that apparently shows the face tattoo. Justin Bieber 2.0: Is the newly humble pop star for real? The dimly lit photo appears with the caption, "Resting up for the show in Philly it's gonna be a good one mark my words." The Sorry singer has yet to comment publicly on the tattoo. In February, he told GQ magazine he would only consider getting a face tattoo when he's older. "Maybe when I'm really old, not super old, but maybe, like, 40s or 50s or something," Bieber said said. "One above my eyebrow or something small. I think if they're done right, they could be cool, but nothing super crazy all over the face." 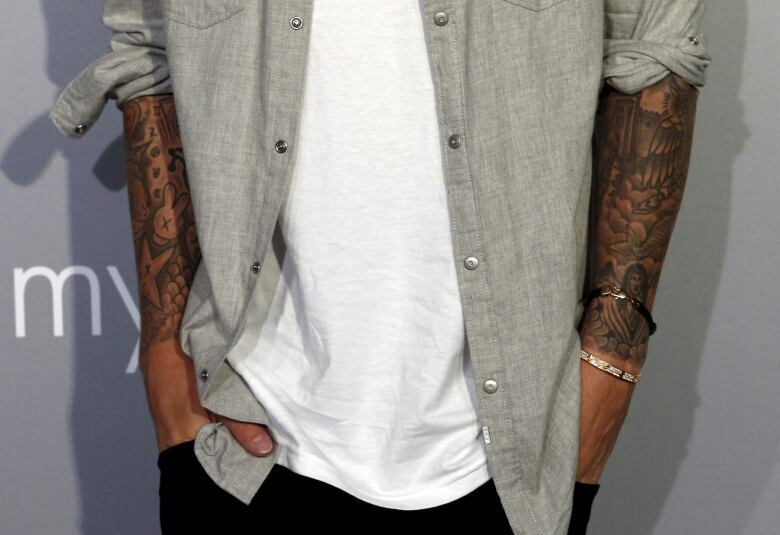 Bieber has several other larger tattoos, many of them symbols of his Christian faith. They include a large cross on his chest, and images of Jesus and hands in prayer on his left leg. He has angel wings on the back of his neck and a verse taken from the Bible on his right shoulder.